Apoyo - Droide - Vehículo. Coste: 4. After you play a vehicle (including this support), you may deal 1 indirect damage () to an opponent. 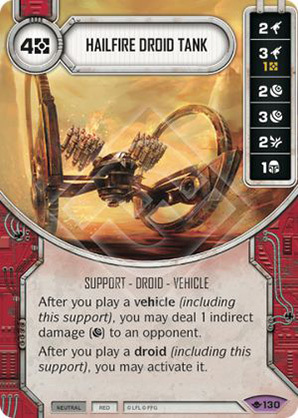 After you play a droid (including this support), you may activate it. Way of the Force #130.